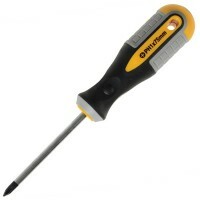 Stanley FatMax Screwdriver Phillips Features Blade length 100mm. Tip size PH1. 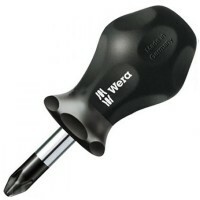 ..
Wera Kraftform stubby Phillips screwdriver. Head Pozi PH2. Blade length 25mm. 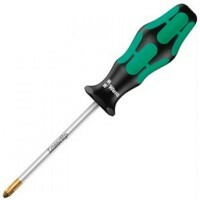 ..
Wera Kraftform stubby Phillips screwdriver. Head Pozi PH1. Blade length 25mm. ..
Stanley FatMax Screwdriver Phillips Features Blade length 250mm. Tip size PH2. ..
Wera Kraftform 350 Screwdriver Phillips Features Head Phillips PH2. Blade length 10..
Stanley FatMax Screwdriver Phillips Features Blade length 150mm. Tip size PH3. ..
Wera Kraftform 350 Screwdriver Phillips Features Head Phillips PH3. Blade length 15..
Stanley FatMax Screwdriver Phillips Features Blade length 75mm. Tip size PH0. 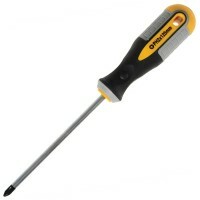 ..
Stanley FatMax Screwdriver Phillips Features Blade length 200mm. Tip size PH4. ..
Stanley FatMax Screwdriver Phillips Features Blade length 50mm. Tip size PH00 ..
Wera Kraftform 350 Screwdriver Phillips Features Head Phillips PH1. Blade length 80.. The Roughneck Phillips Screwdrivers have blades made from S2 steel, which has been hardened a..
Wera Kraftform Comfort Screwdriver Phillips Features Head Phillips PH1. Blade lengt..
Wera Kraftform Comfort Screwdriver Phillips Features Head Phillips PH3. Blade lengt..